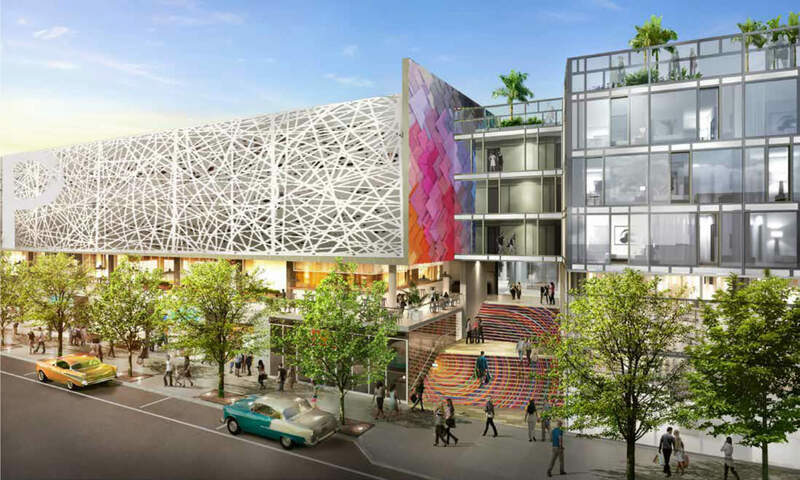 In the heart of South Beach, a Wynwood-style development at 1212 Lincoln Road is one step closer to the start of construction. In May, a demolition permit was approved, and most of the site appears to have been cleared as of yesterday. A permit to begin construction has been applied for and is pending review. 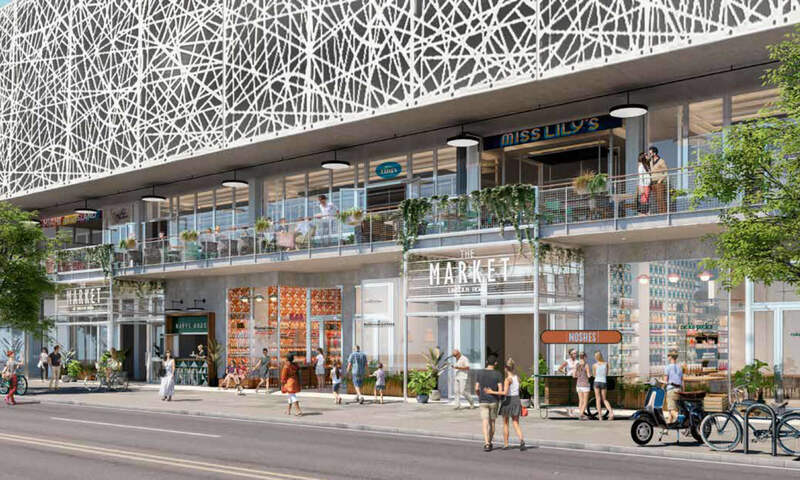 The permit states that a 4-story building with retail on levels 1-2 and parking garage on levels 3-5 will be built, with two phases of construction. Developer Crescent Heights’ website states that 83,000 square feet of high end retail will be built. 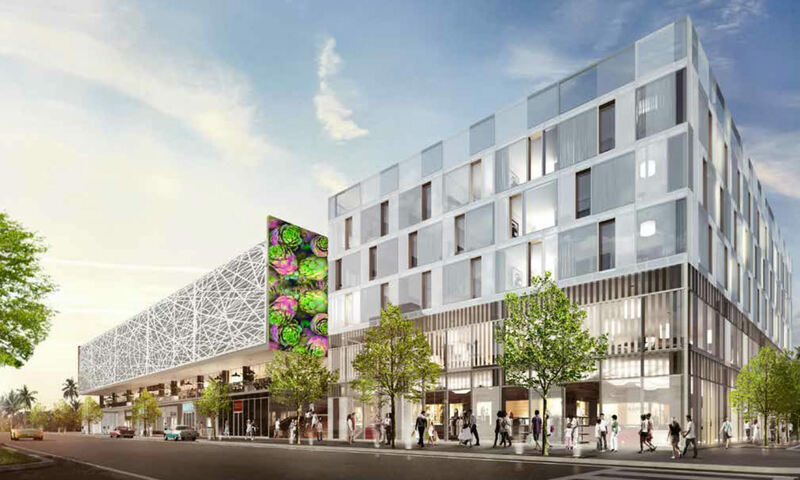 Also included will be a Citizen M Hotel with 168 rooms, according to an application filed with a city board last year. Yep, yay, another parking garage! 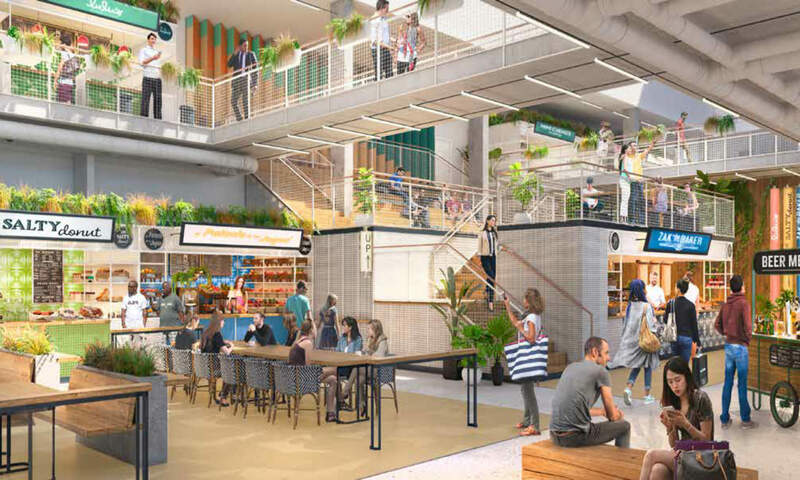 Salty Donut and Zak the Baker coming to Lincoln Road? But the same developer (Crescent Heights) says we can’t build by-right at 500-600 Alton because traffic! Yet we’ll have a few hundred spots further up the road. Makes no sense! LED Billboards? The developer Russell Galbut is installing two ugly LED billboards facing Alton Road. Never should have been approved. He gets whatever he wants. He’s about to get his tower approved on Alton at 5th soon. The parking garage actually looks better than the hotel, more ugly, nonsensical shifted window B.S. The original design was much better, IMO. Either way, save the Bank building and it’s murals. Is the bank building gone? Sad if so.